The agenda for the Nordic VMUG in Field in January is now live, see below. As the name implies VMUG’s are for and by the users and as such you’re always encouraged to give a presentation of what you have done with VMware. And don’t be shy, no matter how small a solution you have and run, someone else at the usergroup has a similar setup. A lot of the users who attend have somewhere between 1 and 20 hosts, and most likely face a lot of the same challenges that you have. At my current work I’m somewhat on the other end of that scale, owning a VMware platform that hosts around 25.000 VM’s. 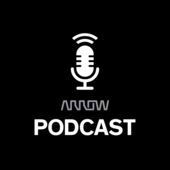 That sounds daunting, and there are some new learnings for VMware at scale, but at the core this is just numbers. Your basic VMware training/knowledge still comes in very handy. Through the VMUGs I’ve gotten many new friends that share some of the same experiences that I’ve had. These friends that helped me at first when I was new to VMware and I have to agree this has helped me work wise as well. It was at similar usergroup I was approached with the position of my current job. This time the VMUG will be held at the new Movie theatre at Fields Copenhagen, which offers multiple rooms for presentations. So you will have to the ability to choose between 25 different breakout sessions that are held throughout the day. After the closing reception, VEEAM has sponsored a viewing of Star Wars Episode 8: The Last Jedi. Hope to see you at VMUG! So I didn’t find the time to do this during VMworld US this year, so hoping to get this out there before VMworld EU kicks off for real on Tuesday. One thing that really bugs me is that a lot of them don’t have XXL or run out of them very fast. And these are NOT US sizes. Meaning after 1 or 2 washes the XL ones don’t fit me anymore. Yes I could loose weight, but I like bacon so…. 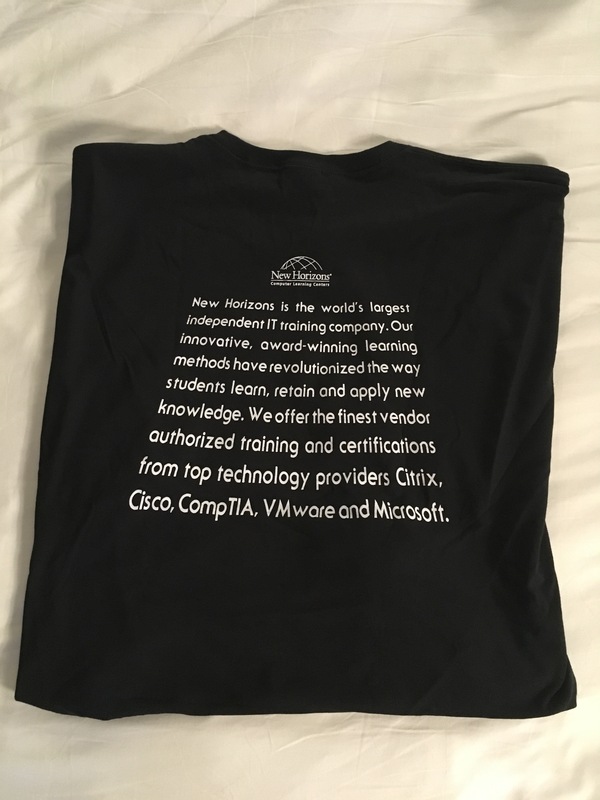 First off I got a vExpert T-shirt from Micron, who gave out T-shirts to the first 50 vExperts who came by their stand. Unfortunately they only had XL ones. However it was Nike Golf Polo Shirt which is the ones I really prefer to wear, so hats off for that. 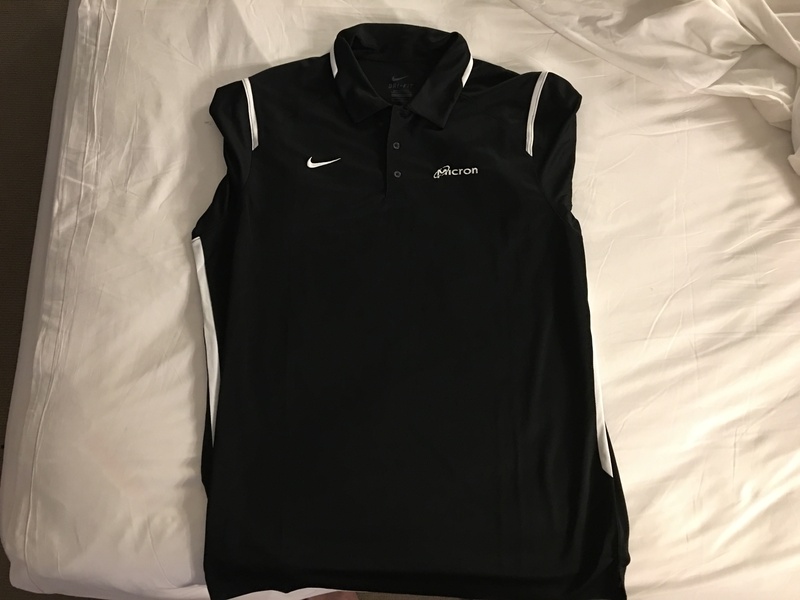 Quality: The well known Nike Golf polo, seems to be the best fabric for shirts, I still have my first 2014 vExpert shirt and eventhough it has been washed numerous times its still in the same shape. Print: A very subtle Micron logo on the front is the only thing adorning this shirt. 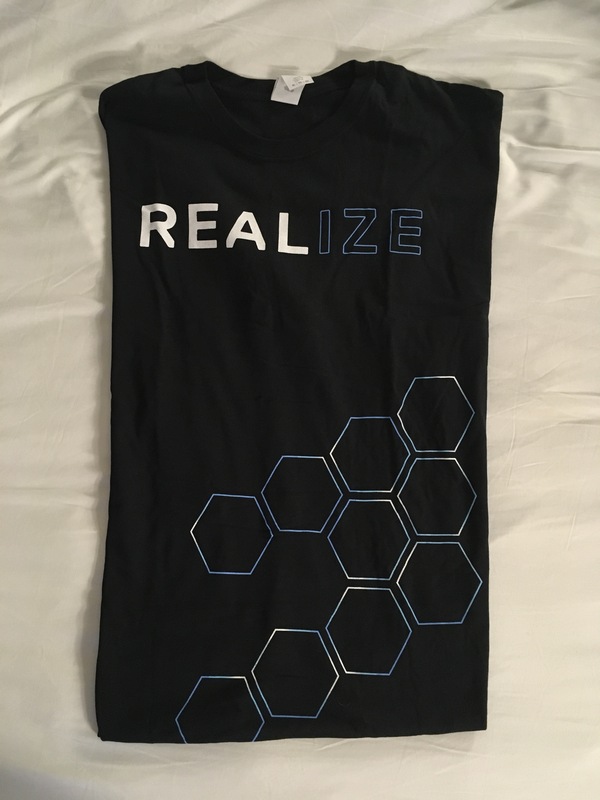 Conclusion: If only they had had these in XXL this would have been a 10 out of 10, by far the best quality shirt there is. Model: Gildan Softstyle Ring spun. 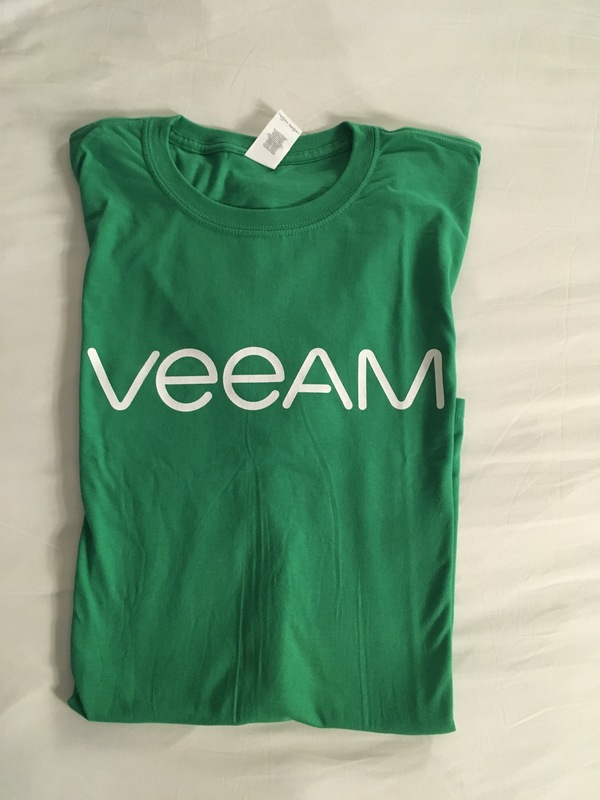 Print: A simple, big Veeam logo on the front and a catchphrase on the back. Quality: A bit thicker material than the Veeam one, but still very nice and soft. 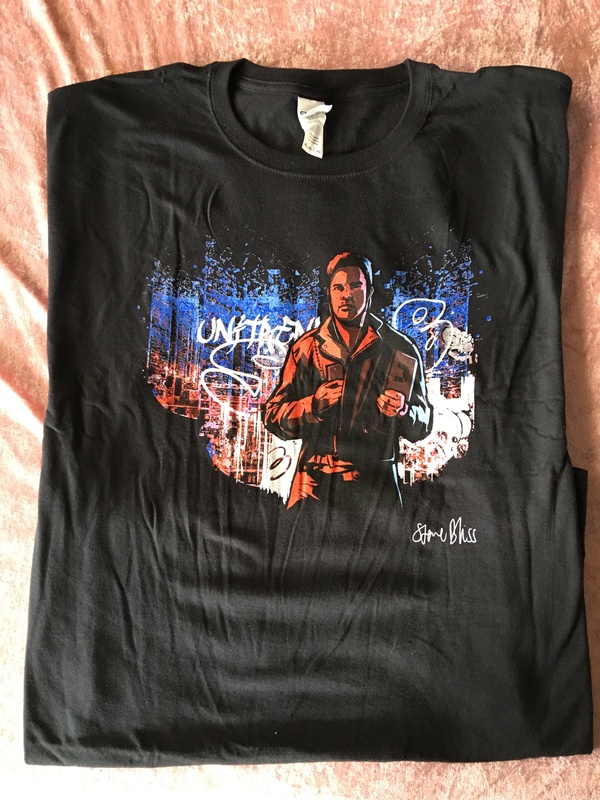 Quality: A bit less soft than the Gildan ones, this is the first tee I’ve seen from this company. It kinda feels like this will stretch in width and creep in length though. 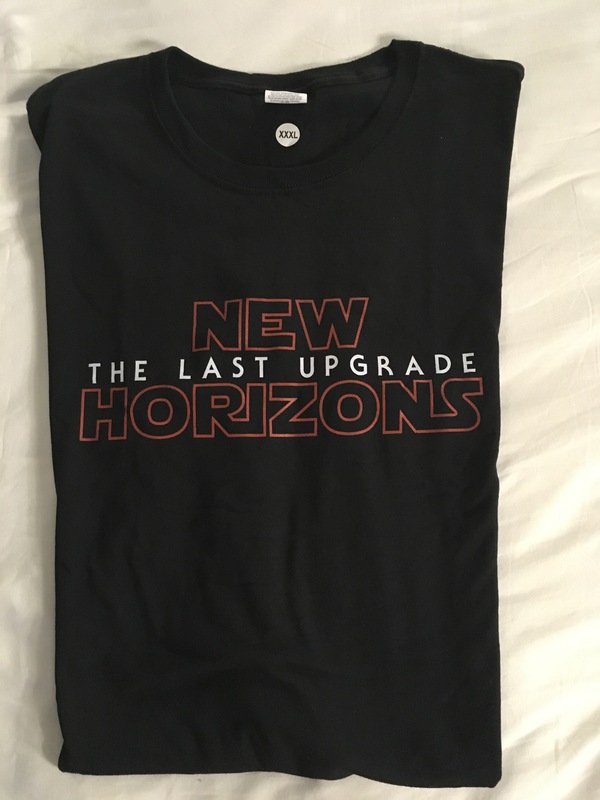 Print: A StarWars inspired New Horizons logo on the front, and again a StarWars inspired text on the back. Quality: Again the good and soft quality from Gildan that we’ve come to know, these washes fine, but will fade to gray after a dozen washes or so. Print: A city background landscape and a person that stands in the foreground. This might be a movie or TV-show that runs in America, it doesn’t really ring a bell for me at least. But it looks pretty cool. Conclusion: A good quality, right size and an ok print that could easily be worn in public brings this one up to 8 points. 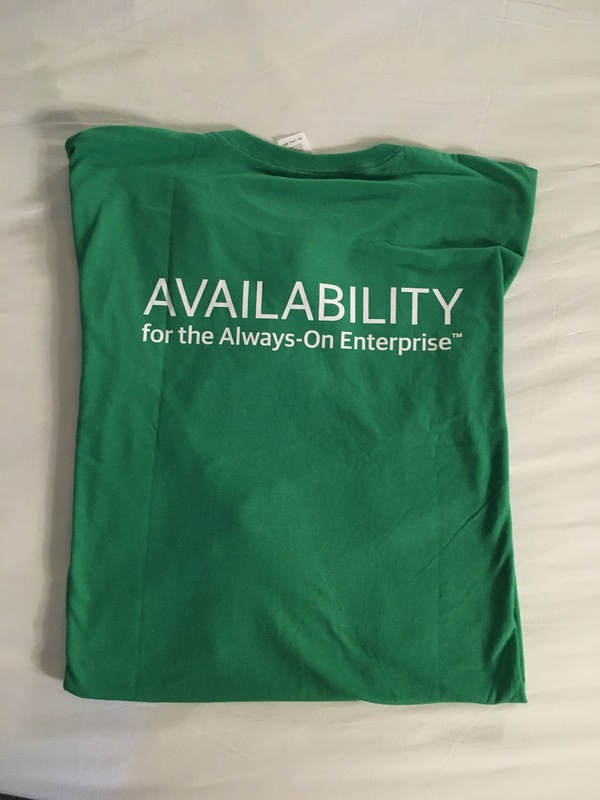 I hope this was at least a bit helpful for you, if you’re going T-shirt hunting at VMworld Europe in Barcelona next week. A surprising number of people asked me if I was going to Barcelona as well. I doubt many costumers do that, that’s more partners and vendors I guess.